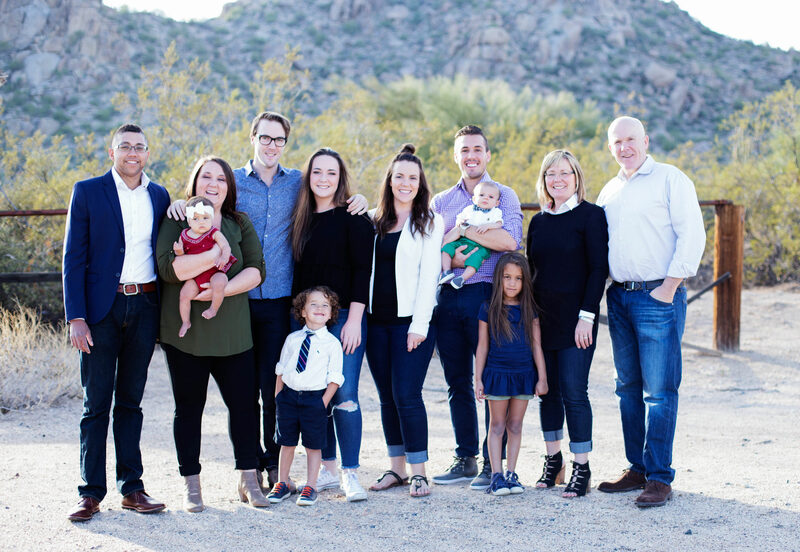 Tower Cleaners has been a Family Business Since 1978 and it is these family values that we keep at the core of our how company operates and why we strive to serve your family the best we can every single day. The Stephen Family; Tony Stephen, President and CEO of Tower Cleaners (far right) with his wife Sassa, their 4 children and their ever growing families. 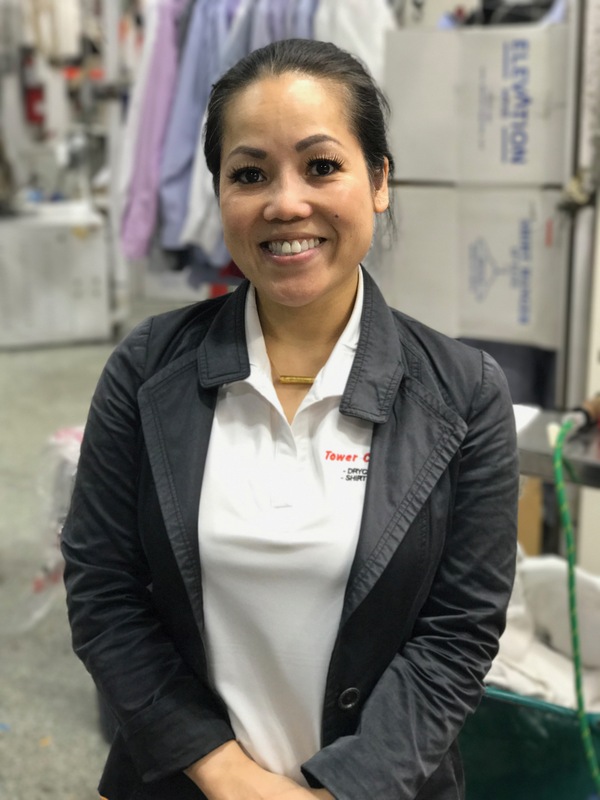 Since 1978, family-owned Tower Cleaners has been delivering exceptional dry cleaning service and quality. Tower Cleaners is endorsed by leading clothing designers and retailers. When combined with 26 locations throughout Calgary and Airdrie, plus FREE full-service pickup and delivery to your home or office, Tower Cleaners is your first choice for quality and service. Now a part of the extended family, the Tower Cleaners Management team work every day to deliver on the values set by Tony. With a variety of backgrounds and A LOT of combined experience, they are here to help ensure your Tower Cleaners experience is as effortless and enjoyable as possible! Tony Stephen CEO Tony Stephen has over 30 years of dry cleaning experience. 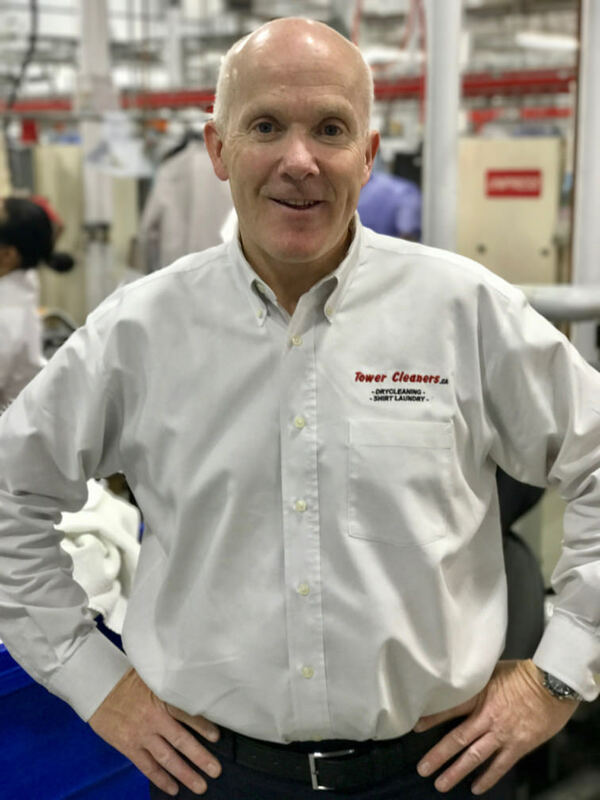 Known for his entrepreneurial spirit and knack for innovation, Tony has designed one of the most automated dry cleaning plants in North America. 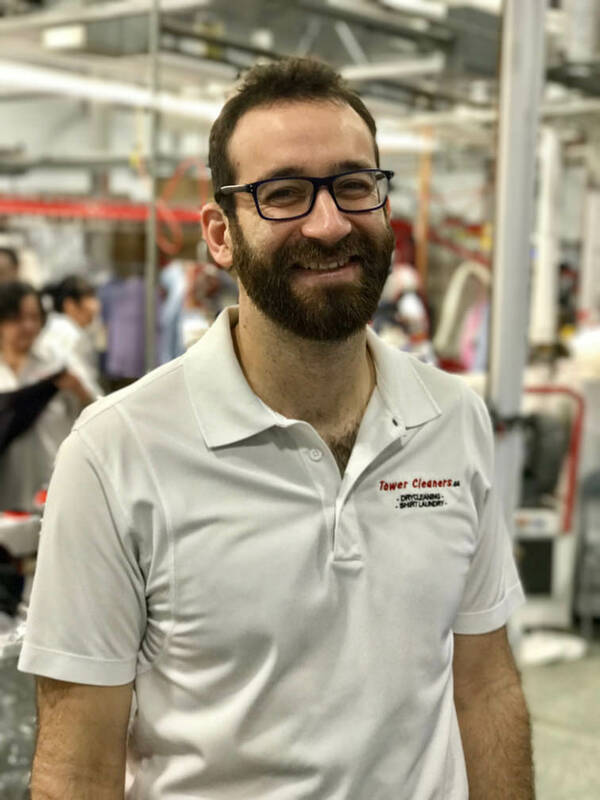 He has been featured on the cover of Fabricare Magazine and is the only Canadian dry cleaner to be selected as one of America’s Best Cleaners. However, Tony's true passion has always been community and charity. The Tower Cleaners family's greatest achievements have been the sponsorship of rising stars in athletics and the support of various charitable organizations in their dry cleaning needs. Raj Manan President Rajesh Manan joined Tower Cleaners in 2018, coming with a wealth of business management experience, knowledge and passion. Having previously worked in the Textile Care industry in the U.K. as well as the Oil & Gas sector in Canada; Rajesh's primary focus is to oversee the day to day running of Tower Cleaners and CRDN, ensuring their performance and delivery is exceeding customer expectations. Tom Goldthorp Client Relations Tom has been with Tower Cleaners for over 22 years beginning with delivery management to our stores and route development. He now oversees the staff of all 26 stores from hiring, training, to marketing and customer relations. 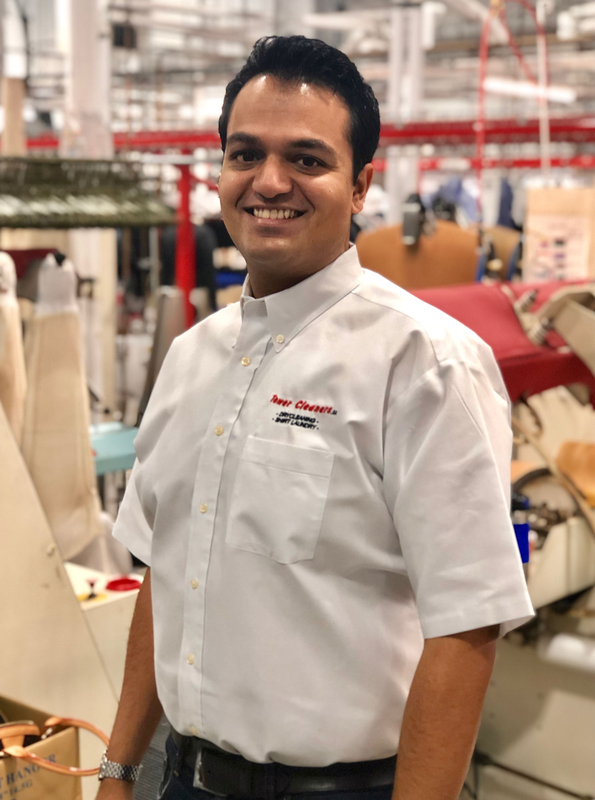 His operations experience at the plant helps him to train our staff on the automation of our systems and the tracking of thousands of garments daily. 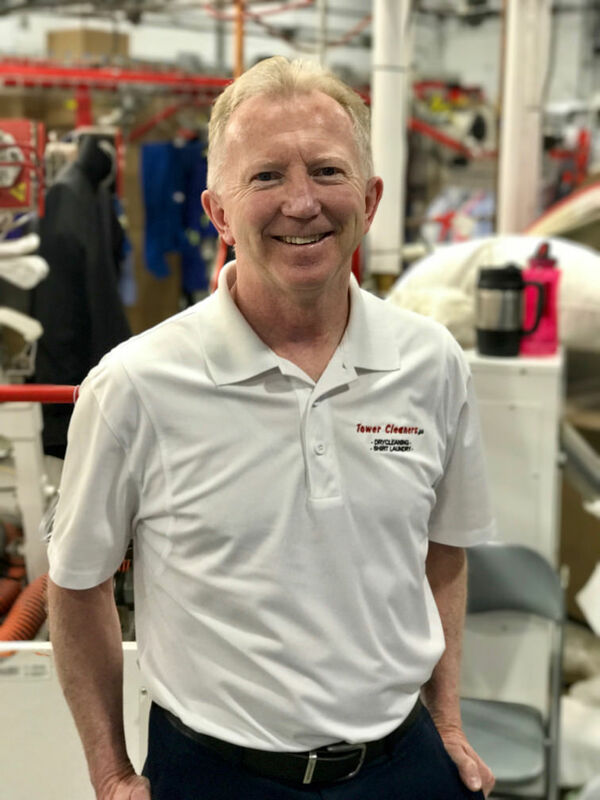 When he isn’t solving customers dry cleaning challenges you can find him playing or competing in any number of sports or hanging out with the grandkids. Dan Medwin Operations/Route Manager Joining in 2014 Dan oversees day-to-day operations at the main plant. He also leads and coordinates our delivery team of drivers, ensuring garments are getting to our clients' homes or offices throughout Calgary and Airdrie every day and on schedule. Outside of work you can find Dan in the mountains. Laurie Carvalho CRDN General Manager Laurie has been with Tower Cleaners since 2000 formerly our Plant Manager, Laurie applies over 25 years of professional cleaning experience and leadership skills as our CRDN General Manager. As well as managing the logistics, administration and production teams for our textile and electronic restoration company CRDN. Laurie can also be found sharing her cleaning expertise, tackling some of the most difficult garments with high financial or sentimental value and bringing them back to pre-loss condition. Dalmy Manan Business Development Manager Dalmy predominantly looks after our restoration contractor and insurance clients in our CRDN business and our commercial clients with Tower Cleaners. We are proud to mention Dalmy has been awarded the top CRDN Sales Professional in Canada for the last 5 years. When she isn't assisting clients with their textile restoration needs, you can find Dalmy on the soccer pitch. Nicky Pathammawong Day Production Manager Nicky has been with Tower Cleaners since 1988. 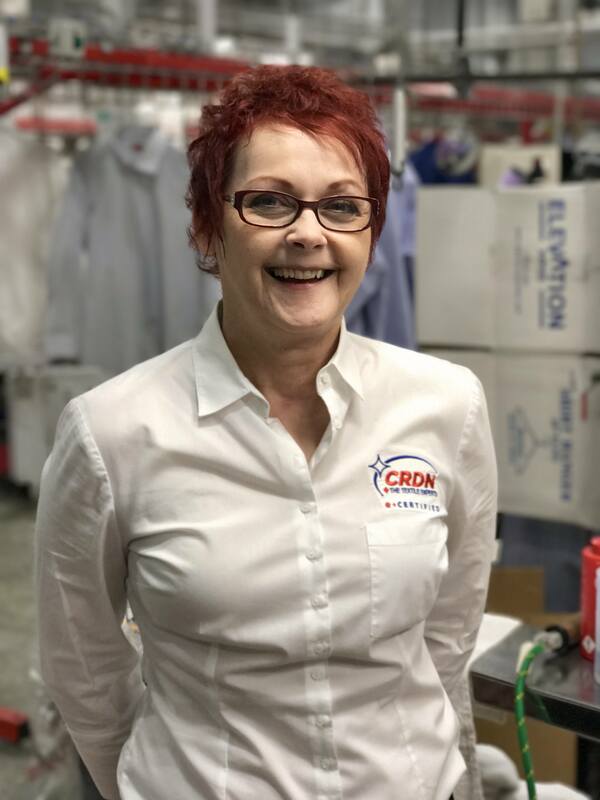 She has over 25 years of professional cleaning experience and has the challenging task of leading one of the largest dry cleaning operations in Canada. She and her team of over 25 cleaners and pressers process thousands of garments a day through the Tower Cleaners main production facility! Nicky is a tough task master and keeps quality top of mind while ensuring our customers' garments are delivered on time every day to our 26 stores. 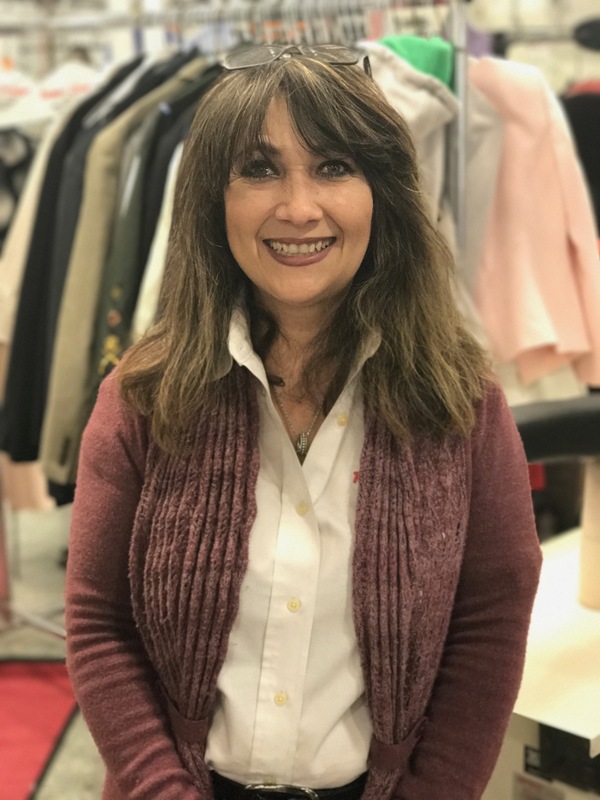 Lilianna Pauna Night Production Manager Lilianna has been with Tower Cleaners since 2002 but has been in dry cleaning for over 31 years as she used to run her very own dry cleaning plant. She is the early riser of the group, running our night team production starting as early as 3am. 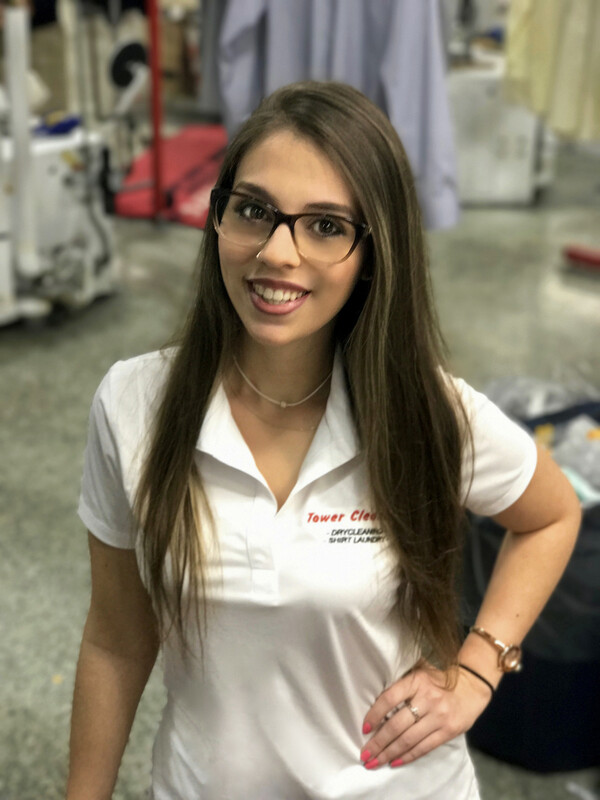 Lilianna is a specialist in wedding gowns among other specialty garments and has a gift for getting stubborn stains out, we call her the wizard of Tower Cleaners. 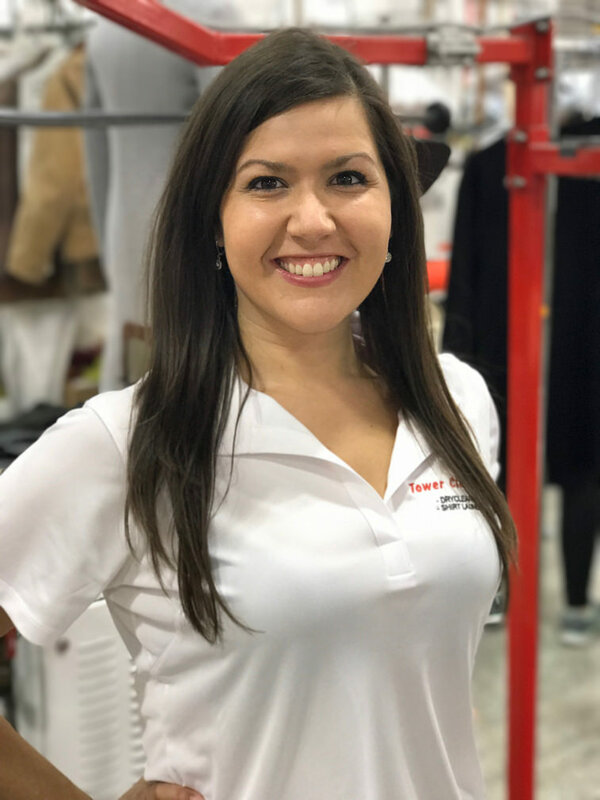 Laura Angulo Executive Assistant Laura Angulo started with Tower Cleaners in the summer of 2016 while we were assisting with the textile restoration efforts in Fort McMurray where she headed our local command centre. She is currently continuing her education at Mt. Royal University while assisting just about anywhere between Tower Cleaners and CRDN. This team, combined with 26 locations throughout Calgary and Airdrie, plus FREE full-service pickup and delivery to your home or office is why we at Tower Cleaners ask you to TRUST US and let us become your first choice for quality and service. Tower Cleaners is among the first dry cleaners in Canada to install SystemK4 environmentally-friendly dry cleaning. Tower Cleaners is Canada’s only certified Affiliate of Americas’ Best Cleaners North America‘s leading independent certification for dry cleaners.